There’s nothing more exciting than a new Survivor season to get the blood pumping. And that was a great premiere episode that left plenty to think about. And with so much to talk about, I best crack straight into it. Here’s what’s on the ticket this week. While I’d much prefer to be on a streak of winner picks, it seems I have somewhat of a knack for picking first boots. To be fair to Stephanie Gonzalez, I thought that Jacob would be able to find an in with other geekier players such as Laurel and Stephanie J, and so I had her being booted first outright which she clearly would not have been. However, she was never going to fit on that tribe. Gonzalez was stuck fitting into neither the pretty people mould of Michael/Libby, nor the geeky mould of Laurel/James/Steph J/Donathan. I always saw Brendan as a bridge between these two camps, leaving Gonzalez and Jenna as the most likely people to be on the outs. As it happened, Jenna fit in well, and that only really left Gonzalez, who I think was an easy vote due to a lack of connection. 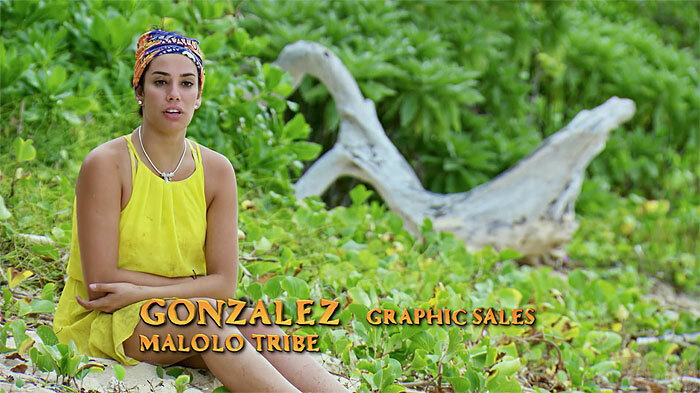 Gonzalez isn’t someone who I could see easily adapting herself to fit in with a group of people where she just didn’t fit, especially after three days. This probably counted against her chances of winning in any event (since she still would have to convince a jury), but I can’t help but feel that her chances of bonding and fitting in would have been much higher in Naviti, where I think her directness and strength would have fit in well with personalities like Domenick, Angela and Desiree, and her apparent puzzle abilities might have been seen as a more necessary asset as well. Jacob, on the other hand, was in the right tribe for him. He has wondered publicly if he would have been better off on the other tribe, but I don’t think that he would have. This was the tribe full of the kind of fans who would take pity on a fellow superfan, provided they could justify keeping him. 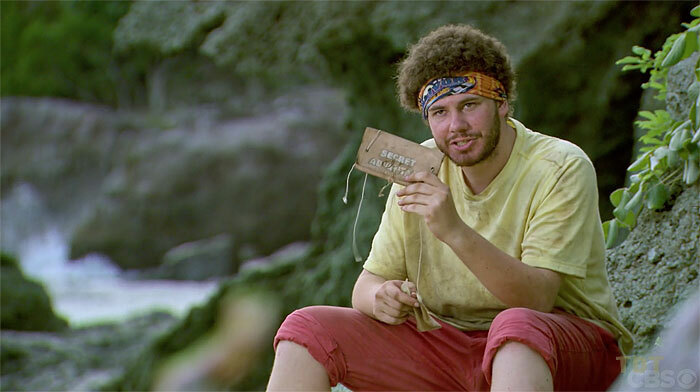 In fact, the tribe did exactly that with Donathan and it was clear in his boot episode that the same people were really trying to find a way to justify keeping Jacob. In the end, though, his game moves compounded one on top of the other and left them in a position where they simply could never have trusted him enough to keep him. I’m so appreciative for Jacob going out and representing the blogging community, and I really commend him for what he did. I do think many of his moves were really very bad, but I have to appreciate those who go down swinging. On both counts, I think Malolo maintained good unity, and they were good moves overall. Michael and Libby might have been better of keeping Gonzalez, but I don’t think they had the social capital to make it happen. People like Donathan and James ought to feel protected (and potentially the two votes for James can be explained away by the core as Michael and Libby being out of the loop). It’s bad for Malolo that they’ve lost twice, but I think they’ve left themselves in the best position they could going forwards. Two seasons now (Game Changers and this one), I’ve blogged on a season with apparently arbitrary splits in two tribes of 10. In both cases, one tribe seems obviously less physically strong. In both cases, the obviously less strong tribe has gone to tribal both times. This bothers me, perhaps more than it should. 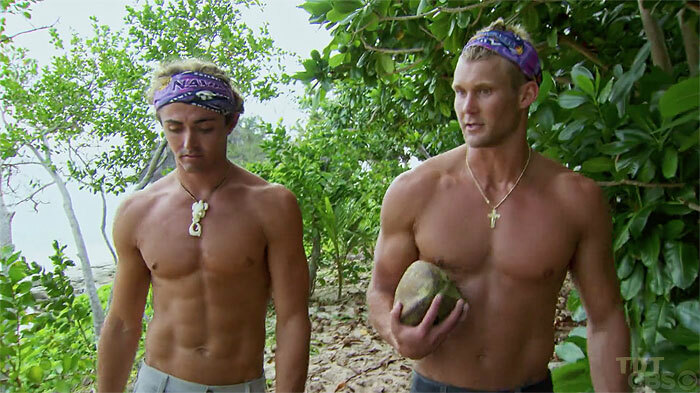 Why would you put both Jacob and Donathan on the same tribe when they seem quite obviously to be the two least physical men? Doesn’t that leave them at an immediate and sizeable disadvantage? And beyond that, we have far and away the two best swimmers (Morgan and Sebastian) on the same tribe. This also doesn’t seem to make a lot of sense. Things don’t all swing Naviti’s way. The Malolo tribe appeared to have a huge advantage when it came to puzzles. 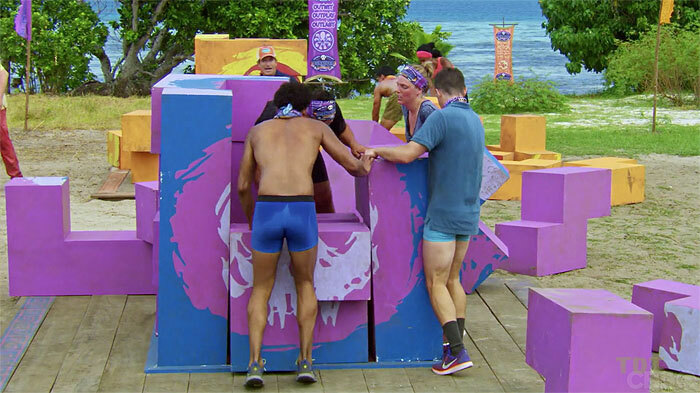 The problem being that the only puzzles planned for before the first swap were a non-immunity one, and a very physical one (where Jacob was clearly struggling with the physicality). As far as I’ve seen, promos have hidden the existence of a third tribe (which you’d probably expect). I haven’t gone sleuthing to see if there’s a third, but I hope there’s not. It would subvert expectations to swap two into two at 18, and subverting expectations is a good thing. The biggest problem with the early swap becoming so predictable is that it makes the early boots almost meaningless. If the other tribe loses first and I lose second, is there any benefit to voting out the weakest any more? Is there any benefit to attempting to set up a lasting alliance? It leaves the first six days as a type of shadow game, one that doesn’t necessarily matter, with the real bonds and alliances to be made after the first swap. It’s harder to be certain of which relationships we should care about, which interactions matter, when you know they are going to be ripped apart after a single episode (as viewed by us). I might be looking a little way down the line, but if they continue with this approach for a while, then I hope one season they completely subvert it just when people feel safe in the knowledge a swap is coming. Leave them hanging until 15 (or even later, if they’ll do a smaller merge). See what kind of damage that could do as people vote out threats only to realise they are stuck with a team that can’t win challenges. While that might do a bit to help avoid a particular metagame, it still won’t make for particularly compelling viewing, as one tribe gets picked off. Having said that, the show does invest in some relationships. This time last season (after two episodes), it was clear that the story of Ben and Chrissy was going to matter, with Ryan/Ali and Ryan/Chrissy also fairly clearly called out as relevant. In this season, there were some interesting pairs going on in this episode that I think we should be keeping an eye on – if they are not together at this swap, then I think you can bank the fact both will survive until they reunite. Stephanie J and Jenna were both shown as important, and their relationship was shown as important, across these two episodes. Jenna got the confessional after Malolo’s first loss, an odd choice for someone who appeared to be neither under threat nor in control, and I think that choice could be significant. She was also the voice of reason when Stephanie was strongly considering working with Jacob. While Stephanie is clearly being portrayed as the alpha, Jenna’s role in the relationship is also getting significant play. I think that their relationship could be one of the central defining relationships of the season, and it could well lead to one of them winning. Domenick and Wendell didn’t get to interact much during the episode, but it did go out of its way to show us that Wendell liked Domenick and that he was the one who told Domenick that (effectively) Chris was after him. This scene really wasn’t necessary, as the rivalry for Chris vs Domenick was already set from the opening challenge and wouldn’t have needed any explanation or confirmation beyond that. Wendell’s insertion into this narrative suggests to me that his relationship with Domenick is going to play a decent role in both of their games, and perhaps in particular in Domenick getting the better of Chris, if he should do so. Chris and Sebastian – or as my mother calls them, Ken and Barbie. OK, I don’t really know if these two have more story together. I just had to mention that my mother calls them Ken and Barbie. It fits. If you asked Sebastian if his friends called him Barbie, he’d say ‘I don’t know’. There are other pairs that I could see having story – Laurel and James or Laurel and Donathan in particular. But I think it’s too early to be sure. 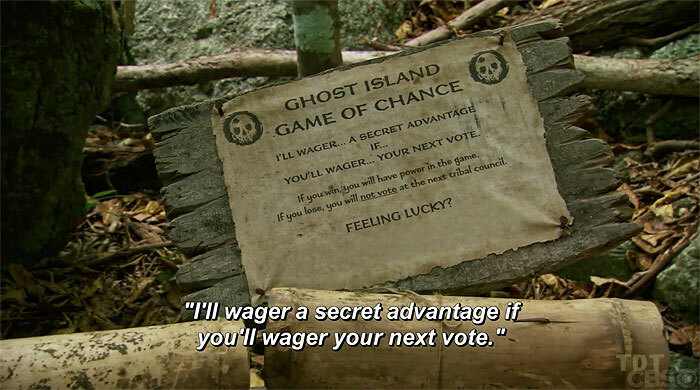 For right now, Ghost Island is pretty much the greatest thing ever. 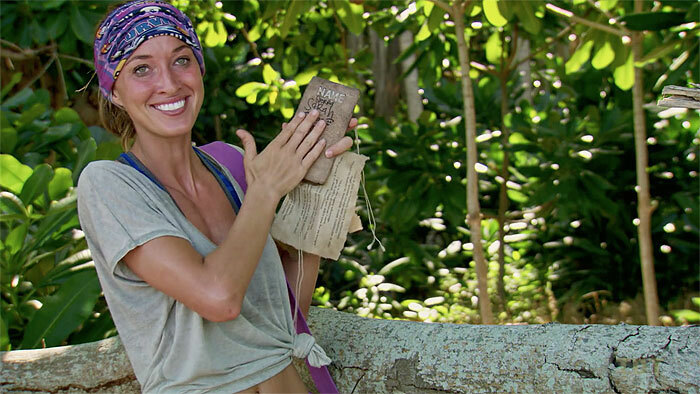 It’s a love letter to Survivor fans, and it’s a beautiful one. Exile Island has actually always been a concept I’ve felt worked on the show, better than most other gimmicks (off the top of my head - Panama, Cook Islands, Gabon, Tocantins and San Juan Del Sur all had memorably positive moments as a result of it). I can’t wait to see James’s idols, Eliza’s stick, Eric’s immunity necklace… this is probably going to introduce a lot of fun stuff. At the end of the day, though, it’s going to come down to two things – execution of the edit, and whether or not it has a serious impact on the end result. Game Changers is, for me, still a little tainted by Cirie’s exit. When I last blogged about HHH, I was high on the season, and despite a very strong finale it still ended up falling several pegs for me simply because the winner was saved not by anything he did but solely by a production twist. I think the prime culprit for ‘too much stuff’ is that too many idols are introduced too late into the game. In HHH we had a second idol still being introduced as late as final 7, and a single idol at final 5. In my view, idols should only be reintroduced at the merge when all other idols are gone, and should be removed completely after the final 7 vote. No-one should be able to live from day to day finding idols in the end-game. Ben was able to win by ignoring the social game, and I think that’s a bad precedent to set. In addition, both seasons suffered in their edit a little bit as their time for character moments were limited by the need to spend so much air time on players explaining various twists. It became fairly clear why every fake idol wasn’t making it in to the edit; at this point players are making fake idols constantly and are passing any terrible thing as an idol. Still, too much air time spent on a twist will be at the expense of time with the characters, and that’s not a great outcome. All this is my way of saying, Ghost Island started strong as a concept; but if it’s to finish strong, the outcome can’t be determined by the twists, but by the players handling them with skill. Quitting has always been a bad thing on Survivor, but in the first episode we saw two opportunities for players to quit. 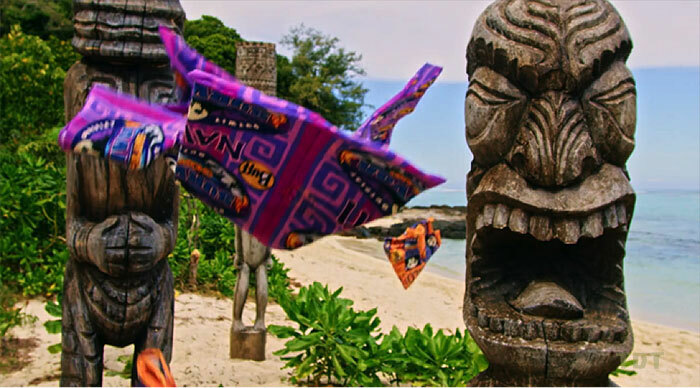 Chris opted out of the first challenge in order to save his tribe’s fishing gear, while Jacob could have opted out of the game on Ghost Island if he didn’t want to risk his vote. This has added the interesting idea of gambling into the game, and I think it’s something that could be used further – or better. What if this concept was taken to an immunity challenge? What if the tribes had to put a certain amount of their stuff on the line to participate (a certain amount of rice, for instance, or their fishing gear, or their flint). They would have a point during the challenge at which they could quit and keep their stuff, but the penalty would be the trip to tribal council. It would sort of be the extreme sports version of stepping off a pole for peanut butter. I think that could be interesting. I don’t expect to see it in this season, but I kind of hope we do, at least once. The choice of the leader in such a challenge would have a huge amount more riding on the decision than Chris did in the opening one. OK, so I shouldn’t go all Jacob on the Legacy Advantage. But I’m on record as saying that it is, for me, one of the most interesting strategic pieces Survivor has ever added to the game, and something I think should hang around for a while so that the strategy around it can develop. I was sorry to see it go in season 35 (although it was replaced by a meaningful different kind of Legacy Advantage in the form of Chrissy’s super-idol, which also worked well). I’m very happy to see it back here, and what’s more, it really has regained its power as they immediately fixed its most significant flaw. In being forced to gift the Legacy Advantage in order for it to have any power, Jacob was given two choices – pass it on, or use it as a bluff. Either way, more than one person immediately knows about the advantage, and this is important, because the advantage should be causing strategic efforts to get it into your hands; and not just at any moment, but at the exact right moment. The move we saw Sarah pull on Sierra? 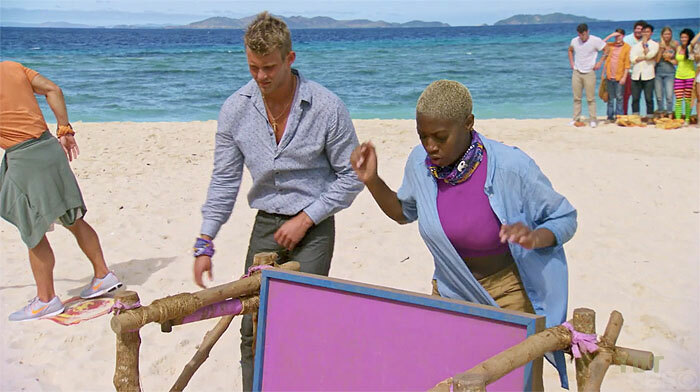 That was one of the most redeeming moments in Game Changers, and if made by a Sandra or Cirie it would be being talked about as one of the greatest moves of all time. It’s the kind of move I’d like to see more of, not less. Yes, the Legacy Advantage did also contribute to Cirie’s elimination – but I’m willing to overlook that simply because all idols were found pre-merge, and so the situation that occurred there should be rare provided that production don’t overdo it with the reintroduction of idols. And I also think it would be somewhat fixed by having its available times to be played being at the merge vote and final 7. I’m very much hoping that with Stephanie Johnson aware of the fact the Legacy Advantage is in the game and held by Morgan, that we are going to see some fireworks with respect to people trying to get it into their hands. Maybe it will reach its potential this season – and if so, maybe it will return in the next cycle (I hope so). * I stole asterisks from Andy Baker. It was more of a tribute at the time. Now that he’s back, it’s kind of plagiarising and unoriginal. But I’m sticking with it anyway. * Kellyn really beasted that puzzle. Team Andy has to be feeling pretty good about having both Kellyn and Stephanie Johnson right now. * James didn’t have a great week, but it wasn’t terrible either. I think he’s in the core of Malolo right now, he got decent exposure through both episodes, and he seems to be squarely in the middle of people’s expectations. A failure like this early could take the focus off him as a challenge beast later. Team Ben didn’t have a great week, but James probably fared best, overall. * On the other hand, I was really concerned about Brendan. For one, we heard in exit press that Gonzalez called him out as a leader. If he was going to win the season, why wouldn’t they have included that? In addition, they showed him in the second episode, at tribal council, be specifically wrong about the outcome of the vote when whispering to Michael and Libby. Brendan is in the middle of everything, exactly where I thought he was going to be – but I think all of the signs are pointing towards him being out of the real loop, and that’s going to be a problem long term. If either member of Team Ghost wins this season, I'll eat chocolate and peanut butter covered balut while precariously balanced on top of a pole in the middle of a pond full of Hantzes. I’ve got bad news for you Andy – Jenna looked good in this episode. Really good. She’s an under the radar winner candidate right now, and I could see a world in which she goes far with Stephanie but Stephanie is too big a threat in the end game and Jenna is able to make tribal without her and win. Team Ghost has life in it – for now. You might have spoken too soon. That’s definitely enough words for coming out this late in the week. I’m going to make a conscious effort to get these out earlier this season (although, clearly, already off to a bad start – sorry everyone!) Please comment and tweet at me @golden8284 – and I’ll see you all again soon.